Product prices and availability are accurate as of 2019-04-22 16:53:18 EDT and are subject to change. Any price and availability information displayed on http://www.amazon.com/ at the time of purchase will apply to the purchase of this product. 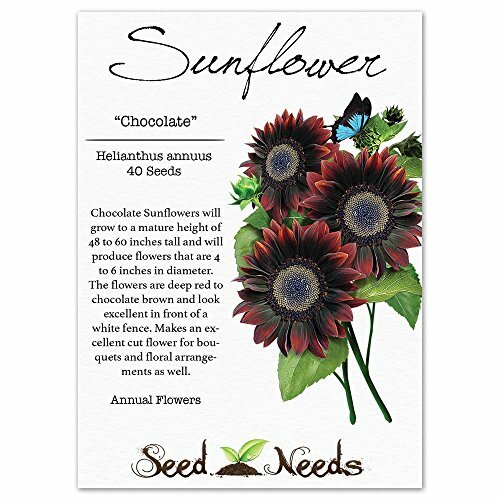 Grow Chocolate Sunflowers from fresh Helianthus annuus flower seeds. 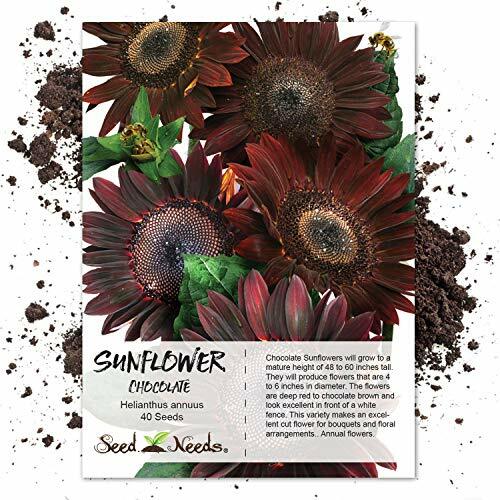 Chocolate Sunflowers will grow to a mature height of 48 to 60 inches tall and will produce flowers that are 4 to 6 inches in diameter. 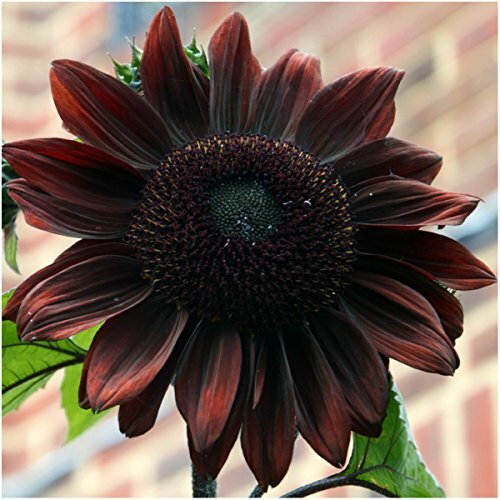 The flowers are deep red to chocolate brown hence the name "Chocolate Sunflower". Categorized as an annual flowering plant, this Sunflower will grow quickly, bloom profusely through the summer months and later die with the first killing frost. Sunflowers, such as this variety are very easy to establish from seeds sown directly outdoors when the weather is warm. An array of beneficial insects will adore these Sunflowers including: hummingbirds, bumblebees, butterflies and even lady bugs. For an outstanding contrast, be sure to select this variety for planting in front of a white fence. You will also find that Sunflowers make an excellent cut flower for bouquets & floral arrangements. Quality Sunflower seeds packaged by Seed Needs. Intended for the current and the following growing season. Packets are 3.25" wide by 4.50" tall and come with a full colored illustration on the front side, as well as detailed sowing instructions on the reverse. Chocolate Sunflowers will grow to a mature height of 48 to 60 inches tall and will produce flowers that are 4 to 6 inches in diameter. Categorized as an annual flowering plant, this Sunflower will grow quickly, bloom profusely through the summer months and later die with the first killing frost. 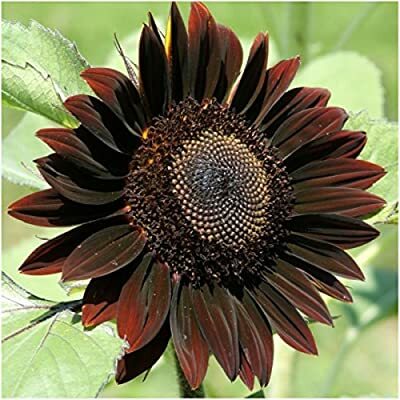 The Chocolate Sunflower displays several smaller heads that branch off of the main stem. All Sunflower seeds sold by Seed Needs are Non-GMO based seed products and are intended for the current & the following growing season. All seeds are produced from open pollinated plants, stored in a temperature controlled facility and constantly moved out due to popularity.